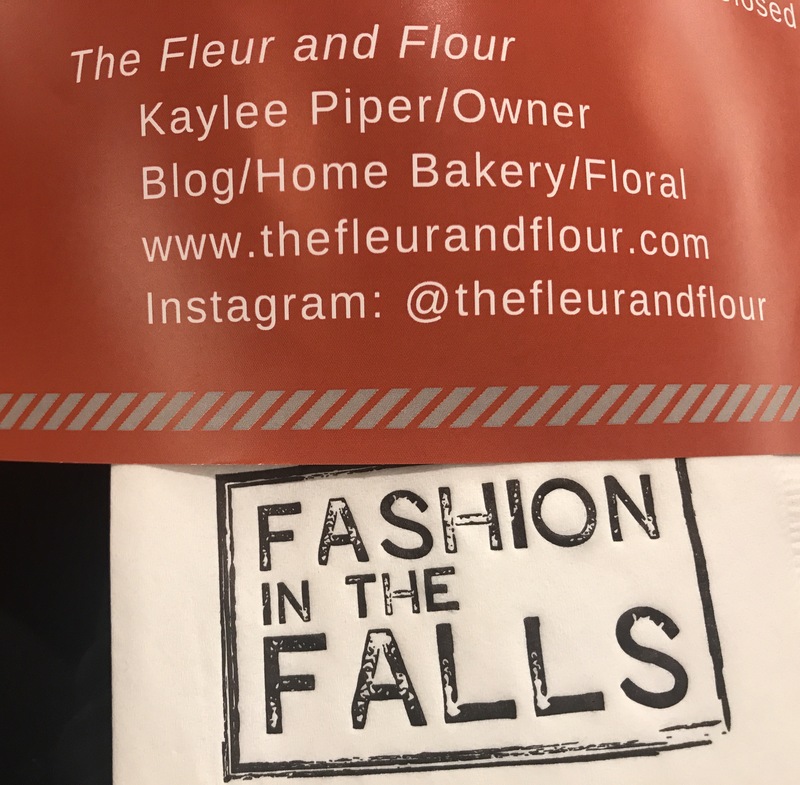 Last night was a local event – Fashion in the Falls. I am so thankful that I was a part of this event as every vendor was local to Cuyahoga Falls, Ohio. Even the Mayor came to show his support of our local businesses! It was a great success and I am so excited for all the vendors in my area. I was asked by the Whitney, the Fashion Show organizer and owner of Urban Lace, if I would provide floral arrangements for the show. As of now, the fleur and flour has been more baking than floral, but nothing gets me more excited than rows of fresh flowers! I was nervous but very excited for this opportunity to challenge myself in a new way. This was my first floral arrangement outside of mini bouquets and small vase centerpieces. 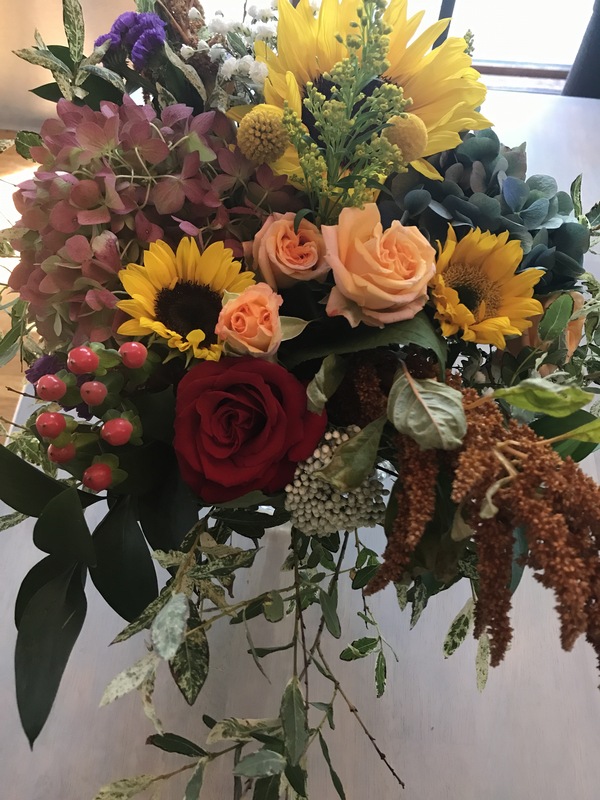 As a giveaway for two complimentary tickets to the show, I posted on Social Media for followers to comment with their favorite Fall flower to be entered to win. The winner of the drawing would have their flower of choice incorporated into the floral arrangements at the event. The winner was a girl named Lauren and her flowers of choice were Sunflowers/Wildflowers! I went to two local stores to find the flowers that I had in mind. 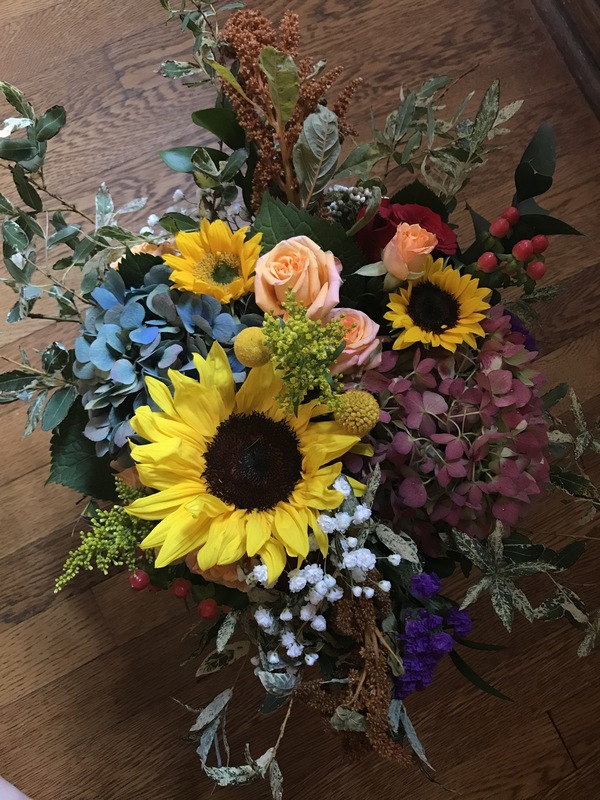 Since the event took place on the first day of Fall, and this was the theme of the event/style of clothing featured, I wanted to use more than your average orange and yellows – I knew sunflowers would be incorporated from the winner’s choice. My favorite flower are roses, any color really but my favorite is a classic deep red rose. I picked some hydrangeas and greenery from my backyard and used those as well. I wanted to stay true to what I liked, but using the event theme and the winner’s choices in mind. I was so happy how natural I felt when all this came together. With all that being said – here are the final products. The flowers were a mix of colors, but all kept Fall in mind – Blue, yellow, peach, red, green, purple, pink and white. I hope to have more opportunities in the future for floral design. 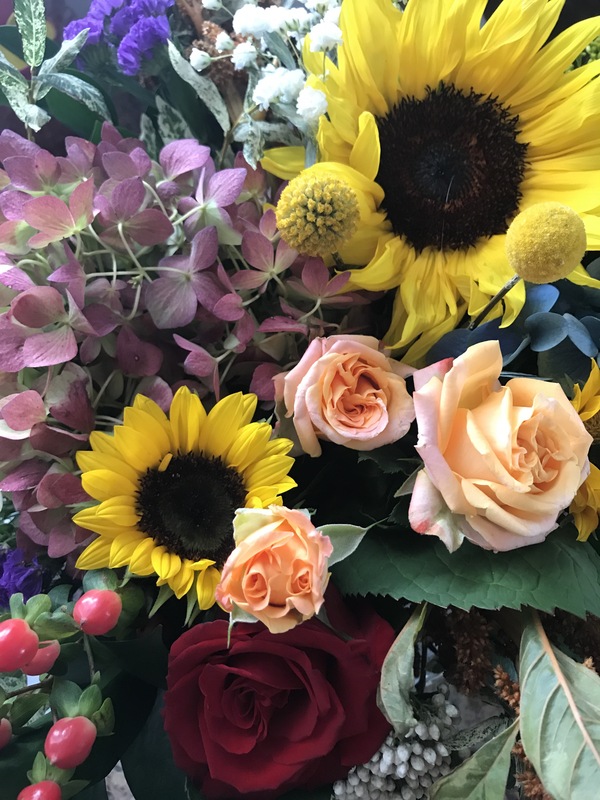 I am far away from titling myself as a florist, but as a hobby that I am very passionate about – I will continue to create, take workshops, and make some for my own home.